After 2009's critical masterpiece, Uncharted 2: Among Thieves, was showered with countless Game of the Year awards, developer Naughty Dog knew expectations for the follow-up entry in the series would be daunting to say the least. The next saga for the franchise's star Nathan Drake, a treasure hunter who can overcome impossible odds yet still seem like an everyday man, would have to raise the bar of cinematic storytelling that the development team upped two years ago. 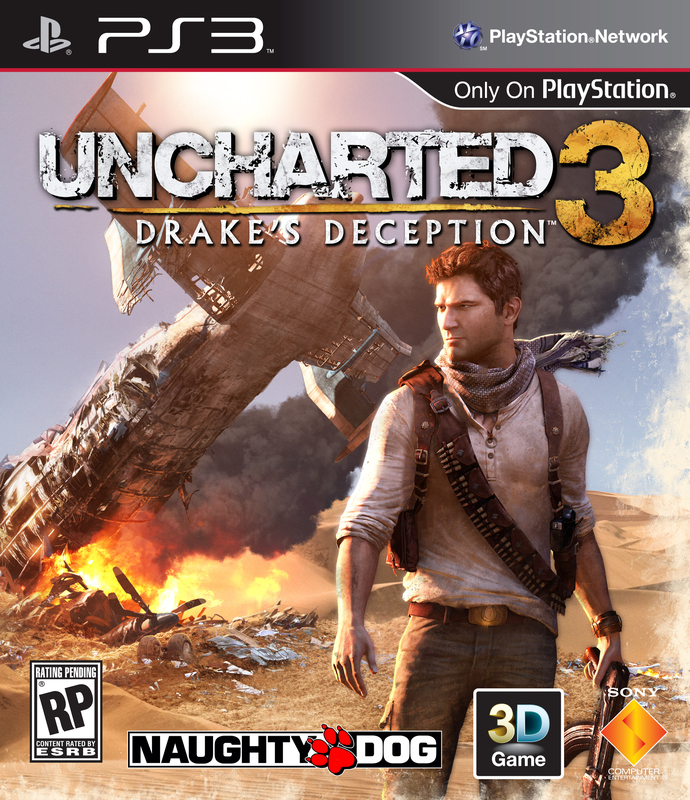 But as the third installment -- Uncharted 3: Drake's Deception -- draws closer to its Nov. 1 release date, Naughty Dog has proven its got more up its sleeve than just an engaging single-player experience for this PlayStation 3 exclusive. Naughty Dog introduced multiplayer in Uncharted 2, and though it was a solid experience -- especially for it being the series' first foray into the online space, it lacked the depth to compete against the juggernauts of the genre. For Uncharted 3, the developers are aiming to be the defining multiplayer experience on the PS3, and if the game's beta is any indication, the team is well on its way. The biggest -- and arguably most addictive -- addition is character customization. As you rank up and earn more money for your in-match performance, clothing and accessory option become available. Say you want your character -- which can chosen from a selection heroes or villains from the campaign -- to be decked out in sunglasses and a baseball cap, you will have the ability to. This feeling of individuality allows players to give their character a personal touch while also giving them incentive to unlock the hundreds customization accessories. You can also give your weapons a personal touch, but it's more than cosmetic. Adding modifications to your weapons -- increased clip size, improved rate of fire and faster reload speeds to name a few -- will give you a more tangible performance boost as you unlock more mods. But mods aren't your only way to get a leg up on the competition. Naughty Dog is bringing back the boosters from Uncharted 2, but is adding more depth to the perk system. Each player will have two booster slots and will select one of four from each slot. These boosters can allow you to sprint longer, add an additional mod to a weapon or show the location of power weapons on the map. You can also upgrade each booster the more you use it successfully, which will make the booster even more effective. There's also paid boosters, which you pay for but can only be used for one match. The addition of medal kickbacks -- Naughty Dog's take on killstreaks from the Call of Duty series -- is another performance enhancer. Before each match you choose one kickback you want to equip -- the more effective the higher the kickback total. These kickbacks can be something simple like an increased speed boost or more deadly like instantly generating an RPG. These power ups can immediately turn the tide of a skirmish. Naughty Dog has put its personal spin on this killstreak system, awarding kickbacks for a wide-range of actions like surviving a nearby grenade or merely running a certain distance during a match instead of only rewarding kills. There are also treasure chests, which can contain kickbacks, that are scattered throughout the map and will randomly appear. But be wary because both teams can see where the treasure is when it spawns, creating a beehive of activity. Power plays are another key addition. These upgrades occur during a match that has become lopsided. If the losing team falls way behind, a power play will kick in, such as the losing team will inflict double damage for a short amount of time while the winning team will earn double cash for each kill. This system provides more incentive for teams that start a match sluggishly to continue playing, hoping that the power play can improve their fortunes. But Naughty Dog has also added one of its calling cards -- the ability to provide jaw-dropping cinematic experiences -- to multiplayer. One of the maps -- Airstrip -- begins with one team on a plane that's attempting to take off while the other team is in trucks trying to board the plane before it departs. Leaping from one moving truck to another while avoiding bullets is an exhilarating feeling that few multiplayer experiences can match. Adding this layer of drama and excitement to a multiplayer map is a twist few developers can pull off successfully. And it's not just for show because the team that is on the plane when it departs receives a medal for its hard work. Naughty Dog has gone to great lengths to make sure its multiplayer can live up to its unmatched single player. These enhancements provide a deep, engaging and addictive feel to the multiplayer, something that was lacking in Naughty Dog's original venture. The level of customization along with the booster and kickback systems give this iteration much more of a chance to take on the heavyweights in the multiplayer arena.